The Preschool Scientist gives children the opportunity to actively engage, experiment, create and discover the exciting world of science. 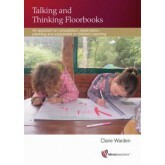 Using a unique inquiry-based approach, these activities explore science through learning centres, integrating this important subject into the entire classroom. 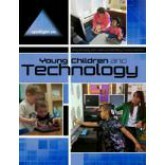 Based on the theories of Piaget and the work of DeVries and Sales, this book successfully makes the case for building a constructivist approach to physical science learning in the early childhood classroom. 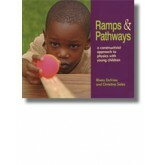 It explains why ramp activities engage children deeply in reasoning about physical objects and phenomena across a range of ages and developmental levels and provides a rationale you can use to explain and defend the educational value of children's play and exploration. 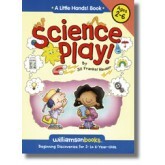 This book shows you how authentic, hands-on science learning takes place every day throughout the classroom as well as outdoors. 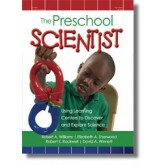 You'll learn to recognize and support the six behaviours that are part of the preschool scientific method that you'll see in all types of children's play: observing, classifying, experimenting, predicting, drawing conclusions and communicating ideas - behaviours that lay the groundwork for children's later science learning in school. 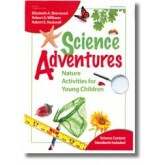 Science Adventures opens up a world of exploration through nature activities in urban, suburban, or rural settings. 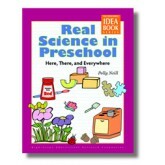 With over 125 engaging activities, all of which are developmentally appropriate for preschool children, Science Adventures make exploring the environment fun and easy. Science is Simple encourages children to experience our world fully and gives teachers learning objectives, activities, items for discovery, related books and follow-up activities. 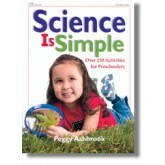 This comprehensive resource will help you teach simple science concepts. Children will discover science all around them with more than sixty-five age-appropriate activities that encourage them to discover, sort, observe, predict and think creatively. They'll find biology in the backyard, chemistry in the kitchen, and physics in the block pile! 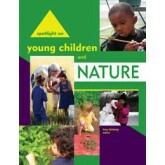 In this collection of engaging articles from NAEYC’s journal Young Children, teachers of children from infancy through age 8 will learn about using nature education to address early learning standards, to involve families and the community, and to encourage children’s appreciation of the natural world.